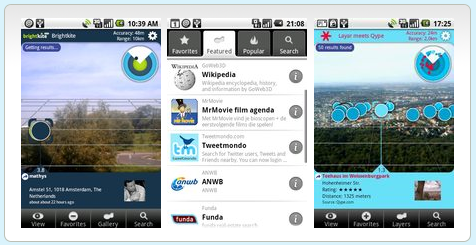 Now That the Nexus One is out, You should get some good apps to use your phone more effectively. 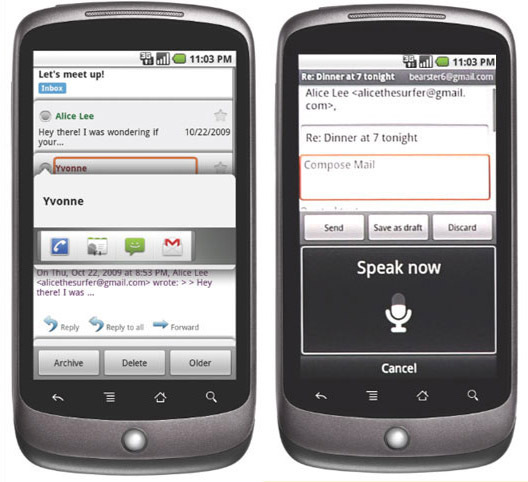 The Nexus One from Google is an Android based mobile phone. You must have heard of things like Symbian and Windows Mobile - all these are operating systems for the mobile phones. Similarly, android is also an operating system for mobile phones. In this article we will throw a light on 10 general purpose applications that will help you to use your new Nexus One mobile phone in a better way. The Layar Reality Browser shows real-time digital information on top of reality through the camera of your mobile phone. With many local layers and global content from Flickr, Wikipedia, Yelp, Google local search, Qype, Brightkite, Yellowpages(soon),Twitter and much more Layar Reality Browser really helps you keep up with your surroundings. This app - Scan2PDF - turns your Nexus one phone into a full fledged scanning machine. Documents are scanned using the Nexus one's phone camera and these can be converted into a PDF. which are saved to phone/SD card and can be emailed directly from the phone or transferred to PC. The pages are compressed and enhanced to produce a compact, readable PDF file. Finance and economy are two thing about which you should always stay updated and these days almost everyone is putting their money in the stock markets. The Finance App for nexus one aims at the same thing. 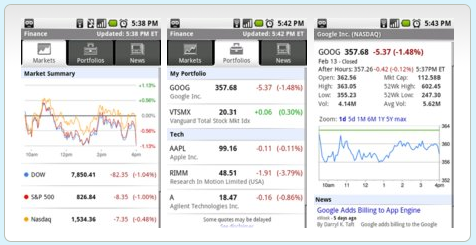 Finance for Android brings you streaming real-time quotes, synchronizes with your Google Finance portfolios and lets you view the latest market and company news. 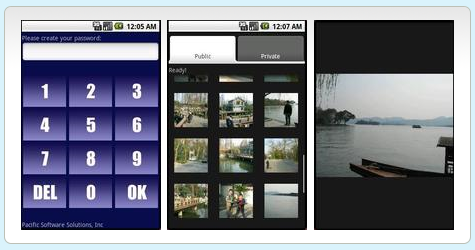 There may be certain private pictures on your NexusOne phone that you would not like any of your friends to see. Or in case you misplace your phone, you need to make sure no one gets to lay their hands on your private pictures. This is where the app PhotoVault comes handy. PhotoVault puts private pictures behind a password protected wall, hiding them from people and applications on your phone. 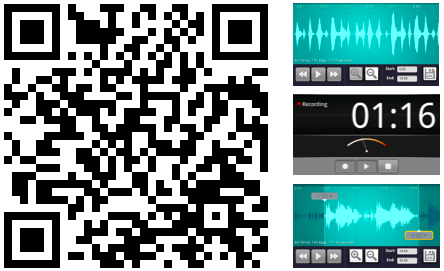 Ringdroid is an unique app that is available only for the Nexus One (and other Android phones) that has a graphical waveform editor which lets you edit any MP3 on your phone or record a new sound and turn it into a ringtone, alarm, or notification. You need not be a pro to edit the tracks using the simple and easy-to-use waveform editor of Ringdroid. 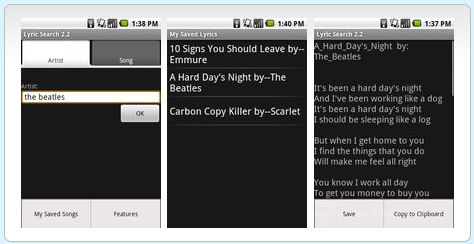 No wonder you must be using your Nexus One phone as a music player. But at times you may come across a track which you may not understand. This is where Lyrics search helps you by searching the song's lyrics on LyricWiki.org. You can search by artist or song name, copy and paste lyrics into sms, email, or other applications, and save lyrics or buy the song on amazon mp3. Weather News is really important especially for those who are always on the move. 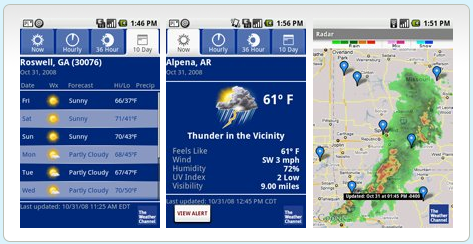 The Weather Channel's Nexus One App gives you everything right from customizable weather maps to video forecasts and severe weather alerts. Try it right now.